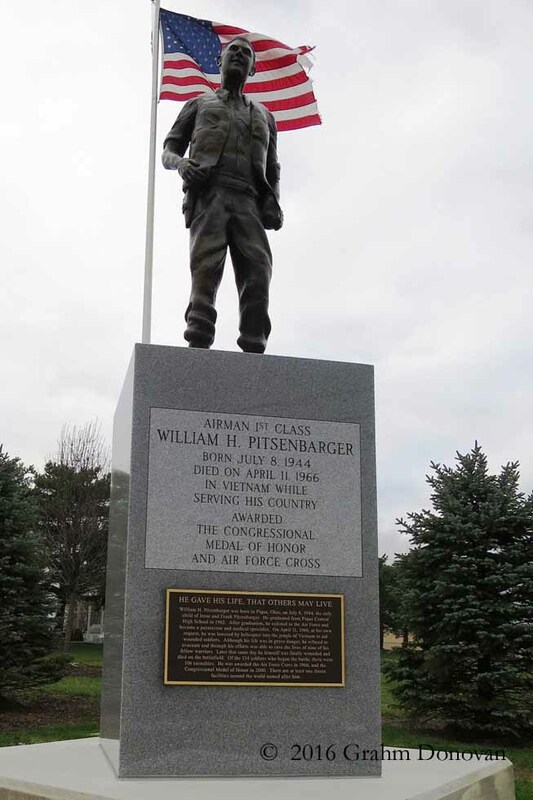 William Hart “Bill” Pitsenbarger was born in Piqua, Ohio on July 8, 1944, but he was destined to leave the small town. While still in high school, he wanted to join the U.S. Army Special Forces (“The Green Berets”), but his parents, Irene and William Frank Pitsenbarger forbade it. After high school, he worked as a stockboy at a Kroger grocery store, but he left to join the U.S. Air Force on December 31, 1962. 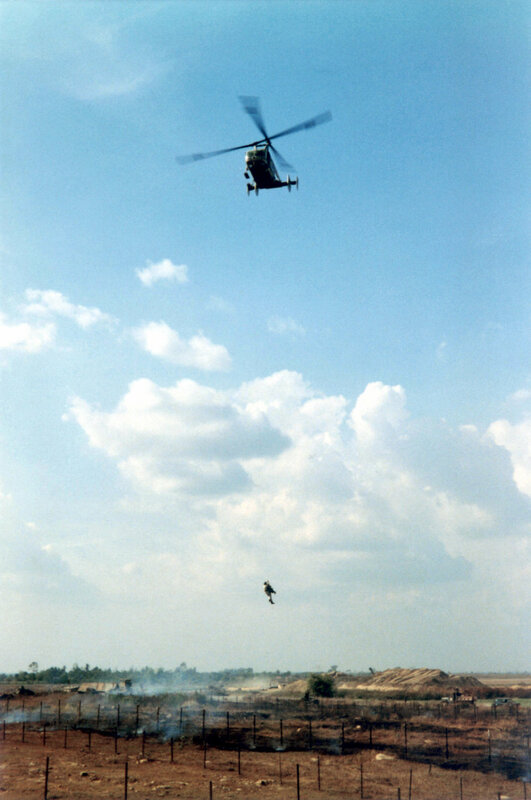 Georgia (his Jump Log is online); Rescue and Survival Technician Medical Course at Gunter AFB, Alabama; U.S. Naval School, Underwater Swimmers, Key West, Florida and the Air Rescue Service Transition Training at Eglin AFB, Florida, Pitsenbarger joined the ranks of the elite Pararescuemen, airmen sometimes referred to as "PJs," who trained to rescue aircrews from downed aircraft under any condition. Then, he wanted to go where the "action" was; Vietnam. 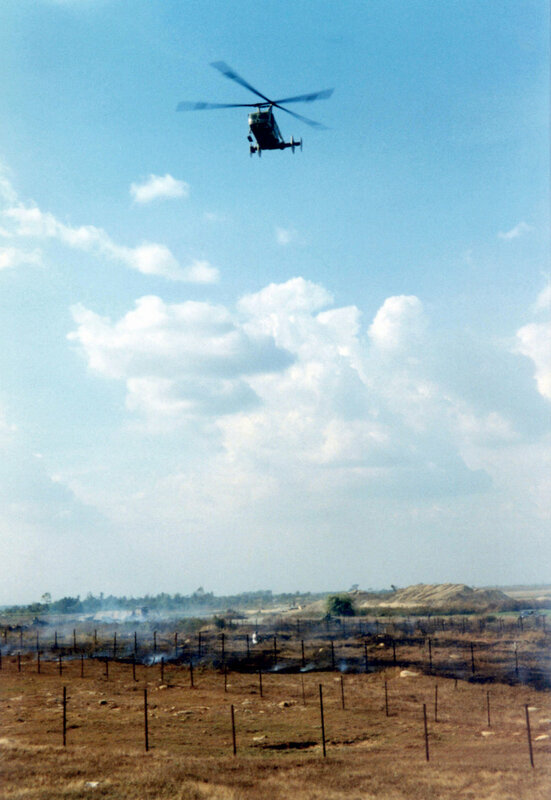 A Kaman HH-43F Huskie (Pedro) lowers AIRMAN First Class (A1C) William Hart Pitsenbarger, USAF, Pararescue Crew Member, Detachment 6, 38th Aerospace Rescue and Recovery Squadron (ARRS) into a burning minefield at Bien-Hoa Air Base in the Republic of Vietnam (RVN) for a helicopter extraction of a wounded Vietnamese Soldier. The soldier lost a foot when he stepped on a landmine. Nobody could figure out how to extract the wounded soldier without tripping the mines. A1C Pitsenbarger said, "No problem, just lower me down on the penetrator, Ill straddle the guy, pick him up, and then you can lift me up." Risky as everyone knew that the prop wash could also setoff the mines. A1C Pitsenbarger earned the Airmans Medal and Vietnams Medal of Military Merit and the Gallantry Cross with Bronze Palm for this action. As the Kaman HH-43F Huskie (Pedro) hovers, AIRMAN First Class (A1C) William Hart Pitsenbarger, USAF, Pararescue Crew Member, Detachment 6, 38th Aerospace Rescue and Recovery Squadron (ARRS) lowered to the ground prepares a wounded Army of the Republic of Vietnam (ARVN) soldier for extraction from the burning minefield. The soldier lost a foot when he stepped on a landmine. Nobody could figure out how to extract the wounded soldier without tripping the mines. A1C Pitsenbarger said, "No problem, just lower me down on the penetrator, Ill straddle the guy, pick him up, and then you can lift me up." Risky as everyone knew that the prop wash could also setoff the mines. A1C Pitsenbarger earned the Airmans Medal and Vietnams Medal of Military Merit and the Gallantry Cross with Bronze Palm for this action. As the Kaman HH-43F Huskie (Pedro) hovers, AIRMAN First Class (A1C) William Hart Pitsenbarger, USAF, Pararescue Crew Member, Detachment 6, 38th Aerospace Rescue and Recovery Squadron (ARRS) is extracted while holding a wounded Army of the Republic of Vietnam (ARVN) soldier from the burning minefield. The soldier lost a foot when he stepped on a landmine. Nobody could figure out how to extract the wounded soldier without tripping the mines. A1C Pitsenbarger said, "No problem, just lower me down on the penetrator, Ill straddle the guy, pick him up, and then you can lift me up." Risky as everyone knew that the prop wash could also setoff the mines. A1C Pitsenbarger earned the Airmans Medal and Vietnam's Medal of Military Merit and the Gallantry Cross with Bronze Palm for this action. Airman First Class (A1C) William Hart Pitsenbarger, Pararescue Crew Member, Detachment 6, 38th Aerospace Rescue and Recovery Squadron (ARRS) lowered onto a roadway after an extraction of an Army of the Republic of Vietnam (ARVN) soldier from a burning minefield at Bien-Hoa Air Base for immediate medical attention. The soldier lost a foot when he stepped on a landmine. Nobody could figure out how to extract the wounded soldier without tripping the mines. A1C Pitsenbarger said, "No problem, just lower me down on the penetrator, I'll straddle the guy, pick him up, and then you can lift me up." Risky as everyone knew that the prop wash could also setoff the mines. A1C Pitsenbarger earned the Airman's Medal and Vietnam's Medal of Military Merit and the Gallantry Cross with Bronze Palm for this action. Medics treat the blown of foot of an Army of the Republic of Vietnam (ARVN) soldier immediately after he was extracted from a burning minefield at Bien-Hoa Air Base in the Republic of Vietnam (RVM). The soldier lost a foot when he stepped on a landmine. Nobody could figure out how to extract the wounded soldier without tripping the mines. 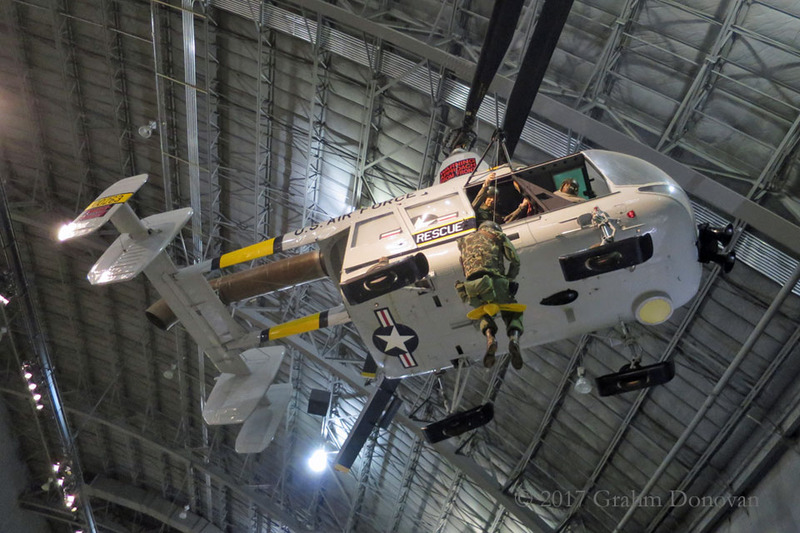 Airman First Class (A1C) William Hart Pitsenbarger, Pararescue Crew Member, Detachment 6, 38th Aerospace Rescue and Recovery Squadron (ARRS) said, "No problem, just lower me down on the penetrator, I'll straddle the guy, pick him up, and then you can lift me up." Risky as everyone knew that the prop wash could also setoff the mines. A1C Pitsenbarger earned the Airman's Medal and Vietnam's Medal of Military Merit and the Gallantry Cross with Bronze Palm for this action. Pitsenbarger finally arrived in Vietnam in August, 1965, where he was stationed at Bien Hoa Air Base, near Biên Hòa, Việt Nam, and he saw plenty of "action." In just a few months "in-country," he was involved in over 250 rescue operations. One mission particularly epitomizes his bravery. 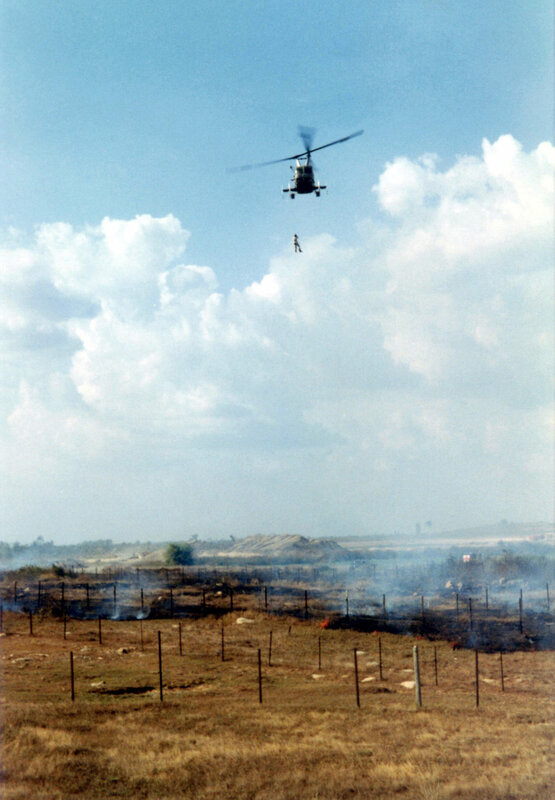 On March 7, 1966, a South Vietnamese soldier putting out a brushfire tripped a landmine, and was trapped in the minefield. “Pits,” as his comrades called him, volunteered to descend from a helicopter on a “jungle penetrator" to rescue the wounded man. Shortly, Pitsenbarger was dangling from a helicopter by a metal cable, being lowered into a burning minefield. He successfully retrieved the allied solider and got him to medical attention. Amazingly, a photographer captured the daring rescue on film. Pararescuemen live by the motto, "These Things We Do, That Others May Live." On April 11, 1966, William H. Pitsenbarger truly embodied that spirit. As an Army unit was pinned down under heavy fire, "Pits" volunteered to descend from the Kaman HH-43 Huskie to save the wounded and dying. As American casualties were mounting, Pitsenbarger was once again dangling from a cable under a hovering helicopter, risking his life to save others. I couldn't do justice on this page to the full story of Bill Pitsenbarger's heroism. Many others have written about the last day of his life. Read what Air Force Magazine had to say about his selfless acts. 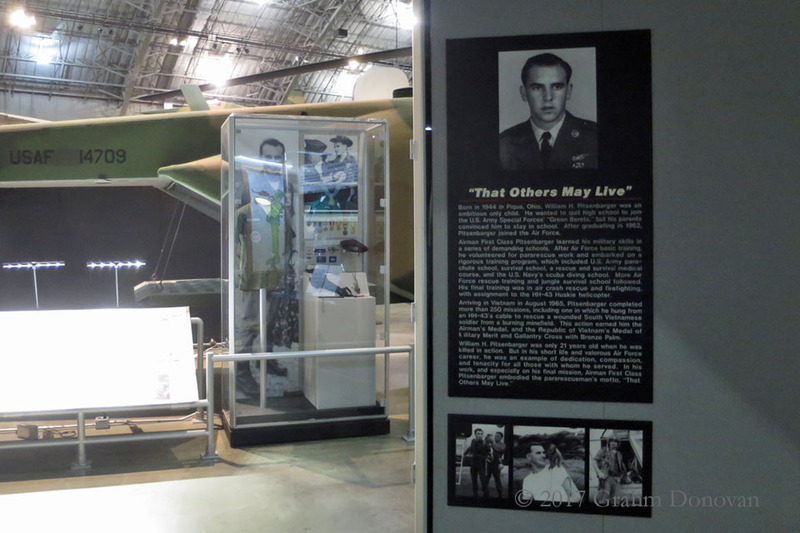 Read the Airmen's Memorial Museum's tribute. Whatever you do, please read about that fateful night, when a 21-year-old young man willingly sacrificed his own bright future, "That Others May Live." 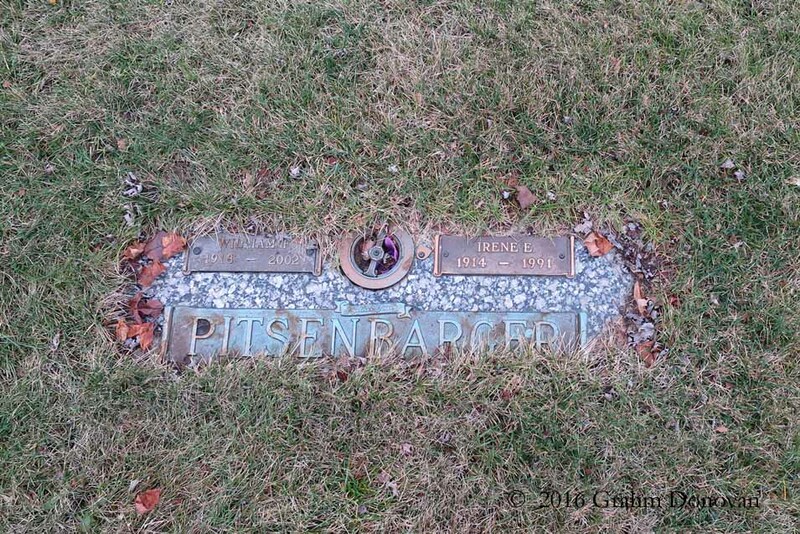 William Pitsenbarger was raised primarily in and around Piqua, Ohio. On December 8, 2000, I had the honor of being in the audience as William Frank Pitsenbarger accepted a long-overdue Medal of Honor on behalf of his son. That night, in the ABC News coverage of the event, Peter Jennings invoked the Gettysburg Address, declaring of Pitsenbarger, “He gave his country what Abraham Lincoln called 'the last full measure.'" 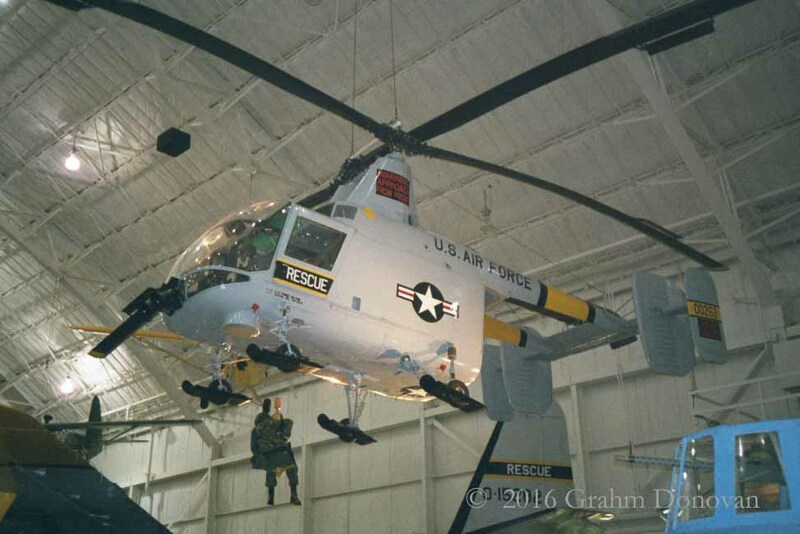 The well-attended ceremony occurred at what was then called the United States Air Force Museum, but in 2004 the museum changed its name to the National Museum of the US Air Force™ (NMUSAF), 1100 Spaatz St, Dayton, OH 45431. It was only after the ceremony that I realized I had first read about Pitsenbarger's story in the 1989 book Mud Soldiers: Life Inside the New American Army, about the Army unit that was on the ground during the Battle of Xa Cam My. The chapter on the battle couldn't help but note the amazement the Army "grunts" held for the airman who came to their aid, and saved many of their lives. 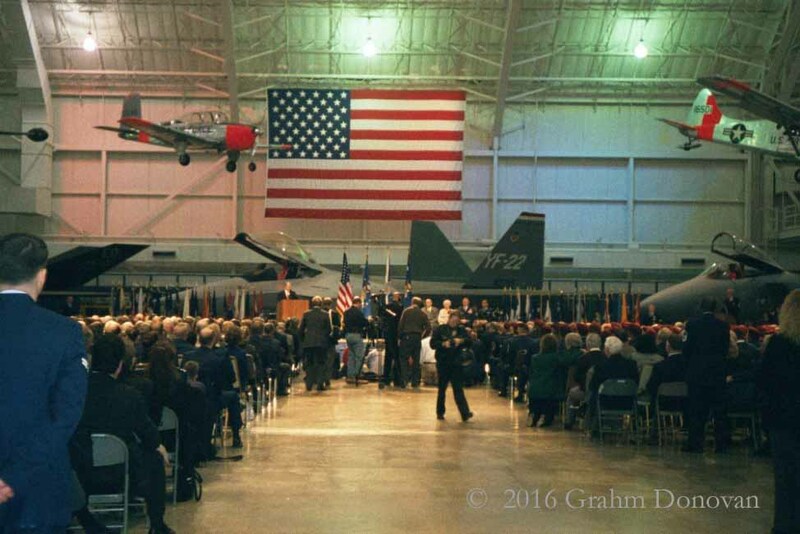 In 2000, the National Museum of the US Air Force, had only two hangars, but by 2016, they had opened a fourth hangar. 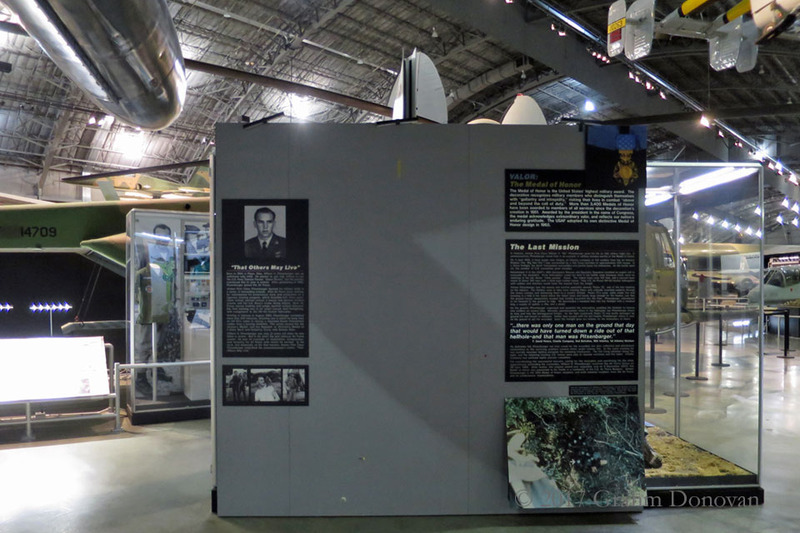 In the museum's Southeast Asia War Gallery, there are several displays honoring the Pararescuemen who served in Vietnam, including mementos from Bill Pitsenbarger. 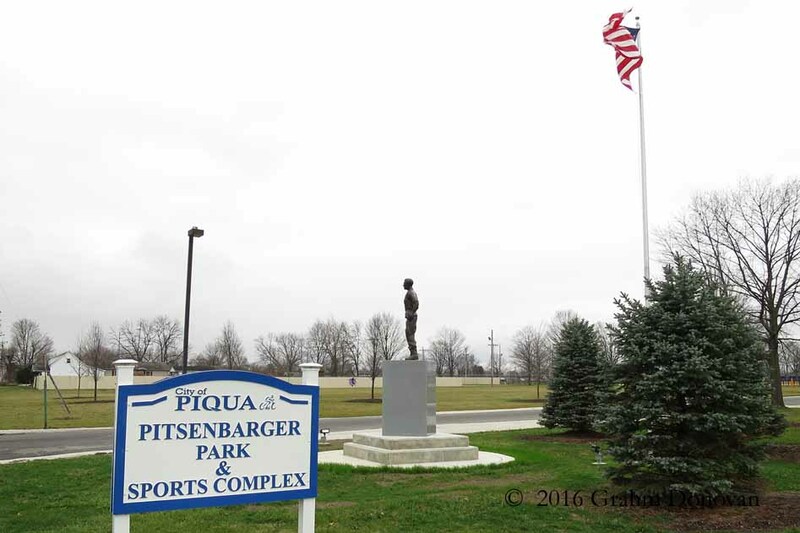 The town of Piqua has named a local park after Pitsenbarger, and on Saturday, November 14, 2015, the town dedicated a statue in tribute to Airman Pitsenbarger. The NMUSAF covered the ceremony. 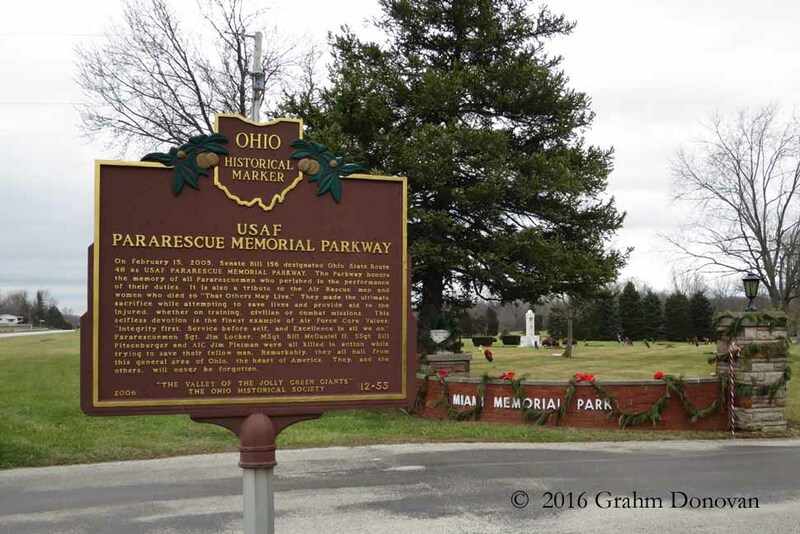 The statue is located at the Pitsenbarger Park and Sports Complex, 1421 South Street, Piqua, OH 45356, however the statue is at the McKinley Avenue entrance to the park. 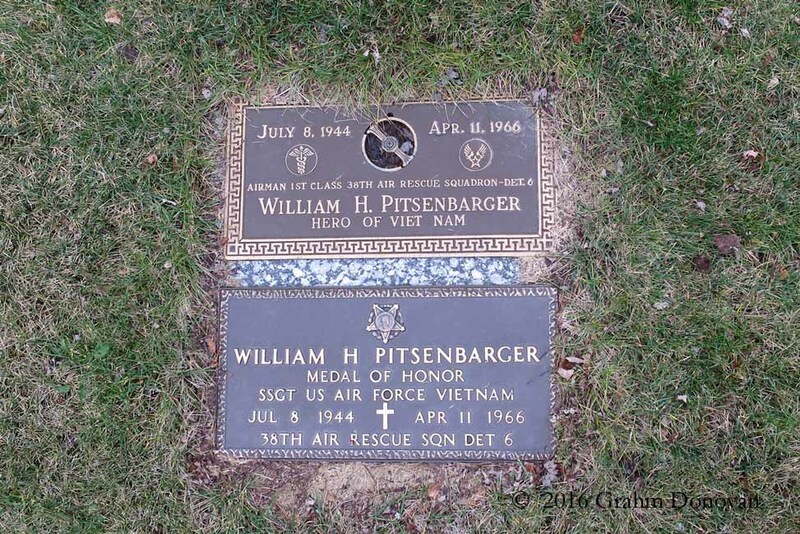 William H. Pitsenbarger is buried near his parents in the Miami Memorial Park Cemetery, 7875 North Crescent Rd Covington, OH 45318. 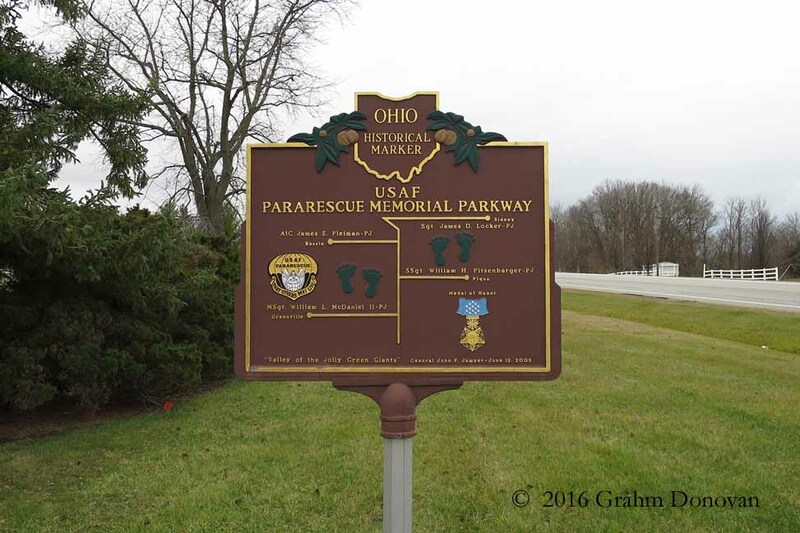 At the entrance to the cemetery, there is a marker designating Ohio State Route 48 as the USAF Pararescue Memorial Parkway, a tribute to all Pararescuemen personnel who died in performance of their duty, and a recognition of four Pararescuemen who lived in close proximity to State Route 48. 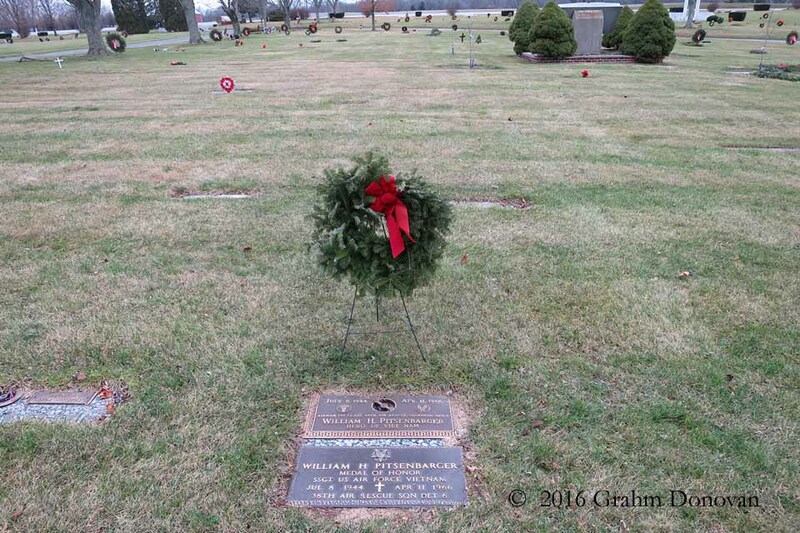 As I was assembling this online tribute to commemorate the life and sacrifice of William H. Pitsenbarger, I discovered that I'm not alone in my respect and awe for the actions of April 11, 1966. Director Todd Robinson has been working for years to bring the story of Bill Pitsenbarger to the screen. The movie, which has begun filming with Grant Gustin in the role of Pitsenbarger, is called The Last Full Measure. The current cast has some amazing talent, and based on Robinson's heartfelt short documentary film "Veterans of Operation Abilene, Vietnam, and the heroism of William H. Pitsenbarger," I have high hopes for the project. This is certainly a tale that deserves to be told, and Pitsenbarger's memory deserves nothing less than a well-crafted film.